Friendly service; clean unit; very accessible; would highly recommend! Excellent place for seniors downsizing, and it is very secure and clean. We received excellent service from the manager. Manager is very considerate and polite. Facility is spotless and has plenty of parking. A little pricey but facility and management are so nice is did not concern me. I have had many experiences with Storage Facilities but All American and its Manager, Jonathan Green, have far exceeded them all!. Rarely, do you find a Manager so capable or so willing to help. Thefacility is clean, professionally run and safe. Although the price is higher than most , in this instance the quality is totally worth it! Best Storage Facility in Macon by far! Top notch, brand new storage facility with all the amenities you would ever need. Very clean, safe, convenient, and well lit inside and out. The staff are always courteous and so helpful! 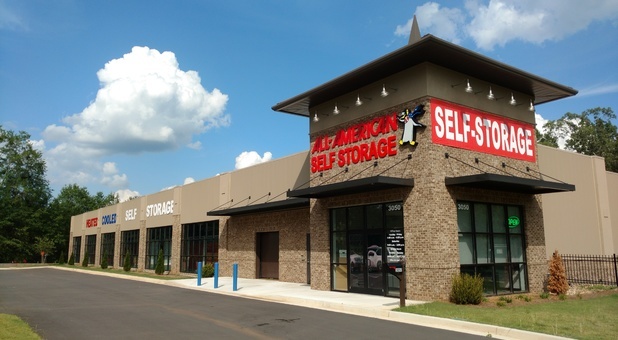 I have used All-American Self Storage for years for personal and business use. I would never use anyone else!! We've have been fortunate to find this storage. It's keep clean, I feel safe because of the security. You could not have for better management.